Don't let inclement weather ruin your community-wide event. A comprehensive planning guide for parks and rec. Your parks and recreation team has spent months planning your inaugural Summer Fun Festival. You have dozens of events planned from a pie eating content to an egg toss, to face painting to live bands, not to mention the balloon animals. You’re expecting thousands of families to come out to spend the day enjoying one another, and the best your community has to offer during the final days of summer. The Mayor will be there, local business leaders, and you’re even expecting a visit from your County Executive. The weather forecast is calling for thunderstorms. Not just rain. Thunderstorms. The kind with a lightening bolt symbol in the weather forecast. The kind that can turn your community park playground into a marshland. Don’t let a weather disaster get this far. Put a proactive, reusable weather contingency plan in place for your parks and recreation department so that you always know how to handle the possibility of inclement weather. The next time you plan an outdoor community event, no matter the season or the reason, refer to these pre-planning best practices. 1. Form a Committee. Don’t feel like the weight of the whole event is on your shoulders. Form a committee to be responsible for making weather-related event decisions and confer with them during the days leading up to the event if you anticipate weather issues. Your committee should include a representative from your police or sheriff’s department, your public works department, and your communications team. 2. Create an Emergency Action Plan. The plan does not have to be event-specific. Your parks and recreation department should have established, standard procedures to follow in the event that a severe weather event disrupts your community event and you need to pivot. Before your next event, review the action plan and make any modifications relevant to the circumstances. 3 .Hope for the Best but Prepare for the Worst. Thinking through all possible events that could disrupt an outdoor community event means more than setting a rain date. Work with your local police office or sheriff’s department to set a contingency plan for a local act of violence, such as a bomb threat or active shooter. They can help you plan the logistics that surround security items such as traffic flow, evacuation routes, and security staffing. Click here to learn more about preparing your community for an active shooter event. 4. Communicate to Attendees in Advance What Threats Would Lead to a Cancellation/Rescheduling. As a best practice, the presence of lightening during an event should be a cause to temporarily halt activity (especially if any electronic-powered rides or games are in use) while you direct citizens to a secure location. If the lightening does not stop, or if its frequency and proximity exacerbate, evacuate the event and send residents home safely. 5. Designate Safety Shelters. In addition to any safety shelters available in your community, for a large scale event, you may need to identify nearby locations that can accommodate thousands of temporarily displaced residents. Consider available parks and recreation facilities, such as a gymnasium, a hockey arena, or another intramural facility. Post signs with the name, location, and evacuation route of your emergency shelters and include a link to a map of their location in any digital mass notifications. 6. Upgrade Your Communication Tools. 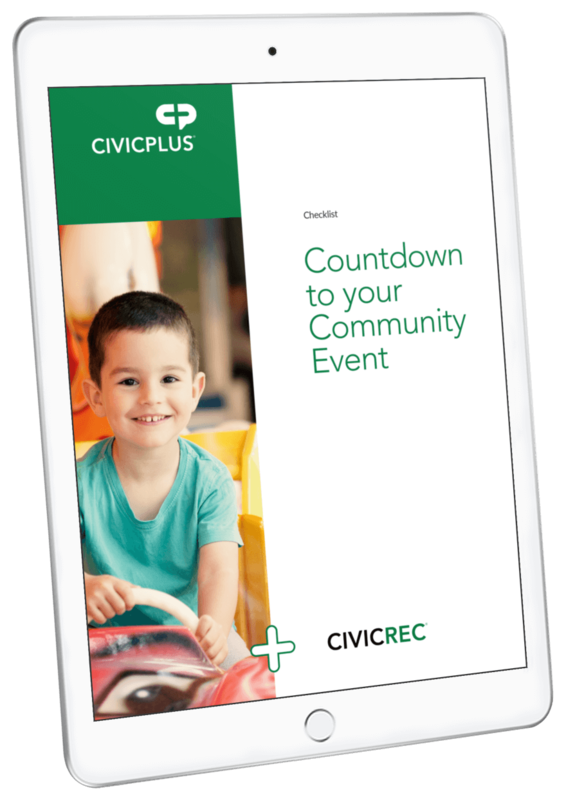 If there’s the chance you may need to delay or reschedule a community event, you will need convenient, easy-to-use communication tools, including a conference bridge solution to quickly unite your community decision makers on a secure phone line, as well as a mass notification solution that allows you to communicate to subscribed citizens via text message, email, and phone. Click here to read how Bullard, Texas used CivicReady® to notify citizens of a last minute event re-schedule. 7. Practice an Evacuation. Work with community volunteers to practice evacuation procedures annually to test their efficacy and ensure personnel know how to respond. Be sure to test communication systems as part of your preparations. 8. Incorporate your CERT into Planning. For the largest scale events with the most potential to create logistical difficulties in the event of a disaster, incorporate your community emergency response team (CERT) into your contingency plans. 9. Leverage Social Media. Not only will your need to communicate to residents via your mass notification system, plan to post any cancellation, delay, or re-scheduling notifications to your local government website and your social media accounts to maximize the reach of your message. 10. Use Imagery to be Convincing. If you are tracking a potential storm that you are confident will ruin an event that starts in an hour, residents lining up to enter your venue may be hesitant to evacuate when they receive an early cancellation notice if they are still seeing blue skies. Include a radar map in your digital communications to validate for residents the severity of the weather concerns and encourage them to relocate immediately. 11. Have a Plan to Reschedule or Return to Play. If you need to cancel your event in its entirety, you will want to plan to resume activity on your designated rain date. If a weekend long festival is only delayed for half a day, you will need a plan in place to communicate to residents that activities are resuming and that they are welcome to return the event. Your procedures should include coordinated efforts with your event committee to first ensure the area is safe before inviting residents to return. Unexpected severe weather may have the potential to ruin your event temporarily, but you can have a plan in place to get your party re-started. For more event planning tips and best practices for parks and recreation departments, download our Ultimate Event Planning Checklist. 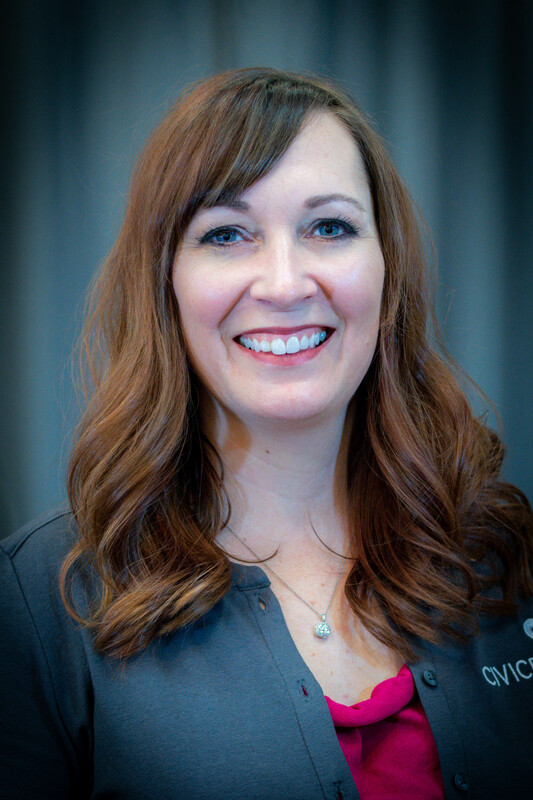 As the product marketing manager for CivicReady and CivicRec, Jennifer’s focus is on understanding the challenges local governments face communicating and engaging their citizens. She ensures that the benefits of the CivicReady and CivicRec systems are communicated and being leveraged by our local government clients. She leads the marketing effort for the CivicReady and CivicRec products and assists product strategy with communications and implementations. Jennifer holds a Bachelor of Arts Degree in Mass Communications and Journalism with a major in Public Relations from Kansas State University. She has over 17 years of experience in both the public and private sector, handling internal and external audience communications with a focus on marketing.